dhivya prabandham – thiruvAimozhi 1.3.6 – uNarnthu uNarnthu – http://divyaprabandham.koyil.org/index.php/2015/06/thiruvaimozhi-1-3-6-unarnthu-unarnthu/ . Full series can be viewed at http://divyaprabandham.koyil.org/index.php/thiruvaimozhi/ . guru paramparai – srutha prakAsikA bhattar – life and glories in hindi – https://guruparamparaihindi.wordpress.com/2015/06/24/srutha-prakasika-bhattar/ – new article by prIthi ammangar based on http://guruparamparai.wordpress.com/2013/04/16/srutha-prakasika-bhattar/ . Please visit https://guruparamparaihindi.wordpress.com/2013/08/29/introduction-2/ to see the full list. 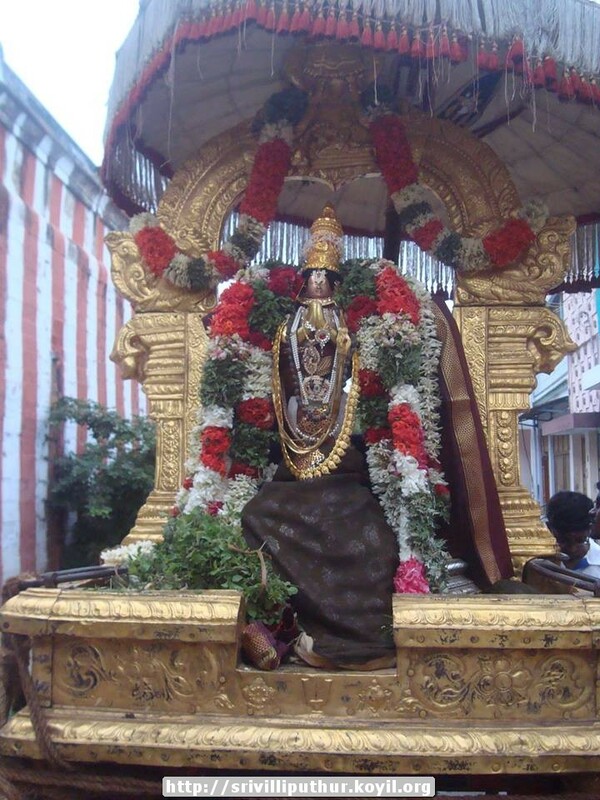 guru paramparai – thiruvarangaththu amudhanAr (srIrangAmrutha swamy) – life and glories in hindi – https://guruparamparaihindi.wordpress.com/2015/06/23/thiruvarangathu-amudhanar/ – new article by gOdhA ammangar based on http://guruparamparai.wordpress.com/2013/03/26/thiruvarangathu-amudhanar/ . Please visit https://guruparamparaihindi.wordpress.com/2013/08/29/introduction-2/ to see the full list. dhivya prabandham – thiruvAimozhi 1.3.5 – piNakkaRa aRuvagai – http://divyaprabandham.koyil.org/index.php/2015/06/thiruvaimozhi-1-3-5-pinakkara-aruvagai/ . Full series can be viewed at http://divyaprabandham.koyil.org/index.php/thiruvaimozhi/ . dhivya prabandham – thiruvAimozhi 1.3.4 – yArumOr nilaimaiyan – http://divyaprabandham.koyil.org/index.php/2015/06/thiruvaimozhi-1-3-4-yarumor-nilaimaiyan/ . Full series can be viewed at http://divyaprabandham.koyil.org/index.php/thiruvaimozhi/ . uyyakkoNdAr – life and glories in thamizh – https://guruparamparaitamil.wordpress.com/2015/06/21/uyyakkonndar/ – new article by renga rAmAnujam swamy based on https://guruparamparai.wordpress.com/2012/08/24/uyyakkondar/ . Please visit https://guruparamparaitamil.wordpress.com/2015/03/14/introduction-2/ to see the full list. eeyuNNi mAdhava perumAL – life and glories in hindi – https://guruparamparaihindi.wordpress.com/2015/06/21/eeyunni-madhava-perumal/ – new article by bhagavathi ammangar based on http://guruparamparai.wordpress.com/2013/04/21/eeynni-madhava-perumal/ . Please visit https://guruparamparaihindi.wordpress.com/2013/08/29/introduction-2/ to see the full list. guru paramparai – periyAzhwAr – life and glories in thamizh – https://guruparamparaitamil.wordpress.com/2015/06/20/periyazhwar/ – new article by sadagOpan swamy based on https://guruparamparai.wordpress.com/2013/01/20/periyazhwar/ . Please visit https://guruparamparaitamil.wordpress.com/2015/03/14/introduction-2/ to see the full list. 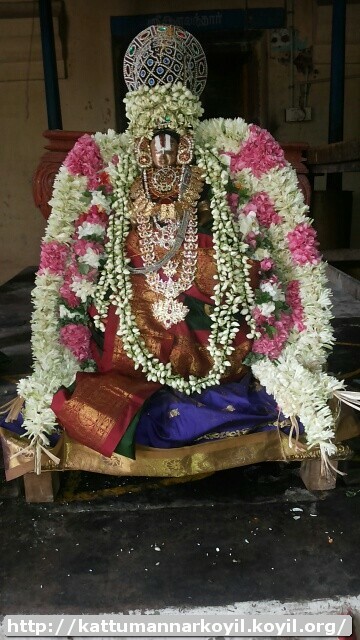 dhivya prabandham – thiruvAimozhi 1.3.3 – amaivudai aRaneRi – http://divyaprabandham.koyil.org/index.php/2015/06/thiruvaimozhi-1-3-3-amaivudai-araneri/ . Full series can be viewed at http://divyaprabandham.koyil.org/index.php/thiruvaimozhi/ . This entry was posted in Uncategorized on June 21, 2015 by Sarathy Thothathri. dhivya prabandham – thiruvezhukURRirukkai section 3 – http://divyaprabandham.koyil.org/index.php/2015/06/thiruvezhukurrirukkai-3/ translated by raghurAm swamy. Full series can be viewed at http://divyaprabandham.koyil.org/?p=2030 . piLLai uRangA villi dhAsar (dhanur dhAsa swamy) – life and glories in hindi – https://guruparamparaihindi.wordpress.com/2015/06/19/pillai-uranga-villi-dhasar/ – new article by bhagavathi ammangar based on http://guruparamparai.wordpress.com/2013/02/22/pillai-uranga-villi-dhasar/ . Please visit https://guruparamparaihindi.wordpress.com/2013/08/29/introduction-2/ to see the full list. 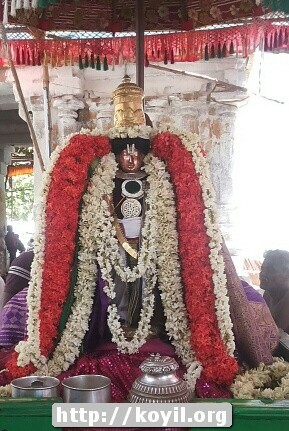 ponnadikkAl jIyar – life and glories in thamizh – https://guruparamparaitamil.wordpress.com/2015/06/18/ponnadikkal-jiyar/ – new article by maghizhmARan swamy based on http://guruparamparai.wordpress.com/2012/09/30/ponnadikkal-jiyar/ . Please visit https://guruparamparaitamil.wordpress.com/2015/03/14/introduction-2/ to see the full list. dhivya prabandham – thiruvezhukURRirukkai section 2 – http://divyaprabandham.koyil.org/index.php/2015/06/thiruvezhukurrirukkai-2/ translated by raghurAm swamy. Full series can be viewed at http://divyaprabandham.koyil.org/?p=2030 . 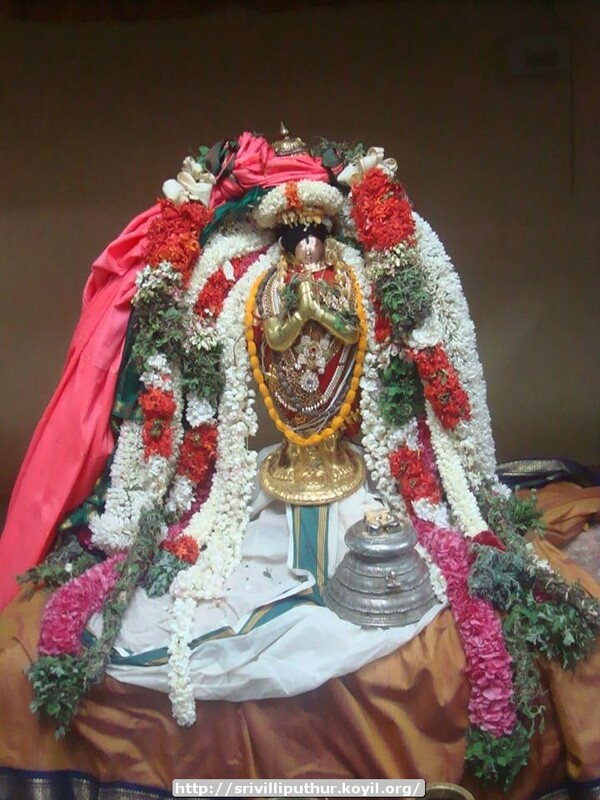 guru paramaparai – nAthamunigaL – life and glories in thamizh – https://guruparamparaitamil.wordpress.com/2015/06/14/nathamunigal/ – new article by renga rAmAnujam swamy based on http://guruparamparai.wordpress.com/2012/08/22/nathamunigal/ . Please visit https://guruparamparaitamil.wordpress.com/2015/03/14/introduction-2/ to see the full list. dhivya prabandham – thiruvAimozhi 1.3.2 – eLivarum iyalvinan – http://divyaprabandham.koyil.org/index.php/2015/06/thiruvaimozhi-1-3-2-elivarum-iyalvinan/ . Full series can be viewed at http://divyaprabandham.koyil.org/index.php/thiruvaimozhi/ . thirukkurugaip pirAn piLLAn – life and glories in telugu – https://guruparamparaitelugu.wordpress.com/2015/06/15/thirukkurugaippiran-pillan/ – new article by pradeep bhattar swamy based on http://guruparamparai.wordpress.com/2013/04/14/thirukkurugaippiran-pillan/ published by raghu vamsi swamy. Please visit https://guruparamparaitelugu.wordpress.com/2013/09/01/introduction-2/ to see the full list. thiruvezhukURRirukkai section 1 – http://divyaprabandham.koyil.org/index.php/2015/06/thiruvezhukurrirukkai-1/ translated by raghurAm swamy. Full series can be viewed at http://divyaprabandham.koyil.org/?p=2030 . Telugu translation for madhurakavi AzhwAr’s kaNNinuN chiRuth thAmbu pAsuram 1 – http://divyaprabandham.koyil.org/index.php/2015/06/kanninun-chiru-thambu-telugu-1/ based on http://divyaprabandham.koyil.org/index.php/2015/01/kanninun-chiru-thambu-1-kanninun/ translated by chUdAmaNi ammangar and published by shashidhar swamy. Full series at http://divyaprabandham.koyil.org/index.php/2015/06/kanninun-chiru-thambu-telugu/ . gyAna sAram – thamizh – e-book link available at http://divyaprabandham.koyil.org/index.php/2014/11/gyana-saram-tamil/ and https://srivaishnavagranthams.wordpress.com/e-books/. Thanks to parAsaran (pradeep) swamy for preparing the e-book. srIvaishNava Education Portal – new article “nAthamunigaL” – http://pillai.koyil.org/index.php/2015/06/nathamunigal/ as part of Beginner’s guide (http://pillai.koyil.org/index.php/beginners-guide/) series. guru paramparai – engaLAzhwAn – life and glories in hindi – https://guruparamparaihindi.wordpress.com/2015/06/13/engalazhwan/ – new article by preeti ammangar based on https://guruparamparai.wordpress.com/2013/04/04/engalazhwan/ published by kArthik swamy. Please visit https://guruparamparaihindi.wordpress.com/2013/08/29/introduction-2/ to see the full list. dhivya prabandham – thiruvAimozhi 1.3.1 – paththudai adiyavar – http://divyaprabandham.koyil.org/index.php/2015/06/thiruvaimozhi-1-3-1-paththudai-adiyavar/ . Full series can be viewed at http://divyaprabandham.koyil.org/index.php/thiruvaimozhi/ . This entry was posted in Uncategorized on June 14, 2015 by Sarathy Thothathri. dhivya prabandham – English translation for periyAzhwAr‘s thiruppallANdu pAsuram 5 – http://divyaprabandham.koyil.org/index.php/2015/06/thiruppallandu-5-andakkulam/ . Full series at http://divyaprabandham.koyil.org/index.php/2015/06/thiruppallandu/. dhivya prabandham – English translation for periyAzhwAr‘s thiruppallANdu pAsuram 4 – http://divyaprabandham.koyil.org/index.php/2015/06/thiruppallandu-4-edunilam/ . Full series at http://divyaprabandham.koyil.org/index.php/2015/06/thiruppallandu/. srIvaishNava Education Portal – new article “Introduction to AchAryas” – http://pillai.koyil.org/index.php/2015/06/introduction-to-acharyas/ as part of Beginner’s guide (http://pillai.koyil.org/index.php/beginners-guide/) series. 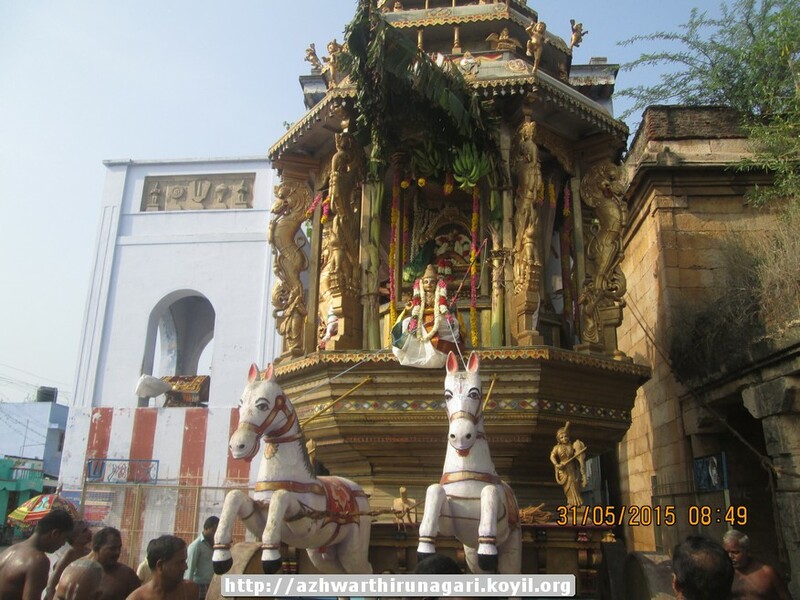 dhivya prabandham – English translation for periyAzhwAr‘s thiruppallANdu pAsuram 3 – http://divyaprabandham.koyil.org/index.php/2015/06/thiruppallandu-3-vazhatpattu/ . Full series at http://divyaprabandham.koyil.org/index.php/2015/06/thiruppallandu/. dhivya prabandham – English translation for periyAzhwAr‘s thiruppallANdu pAsuram 2 – http://divyaprabandham.koyil.org/index.php/2015/06/thiruppallandu-2-adiyomodum/ . Full series at http://divyaprabandham.koyil.org/index.php/2015/06/thiruppallandu/. 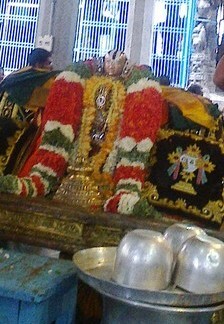 nammAzhwAr – life and glories in thamizh – https://guruparamparaitamil.wordpress.com/2015/06/07/nammazhwar/ – new article by vEnkatEsh swamy based on https://guruparamparai.wordpress.com/2012/08/18/nammazhwar/ . Please visit https://guruparamparaitamil.wordpress.com/2015/03/14/introduction-2/ to see the full list. 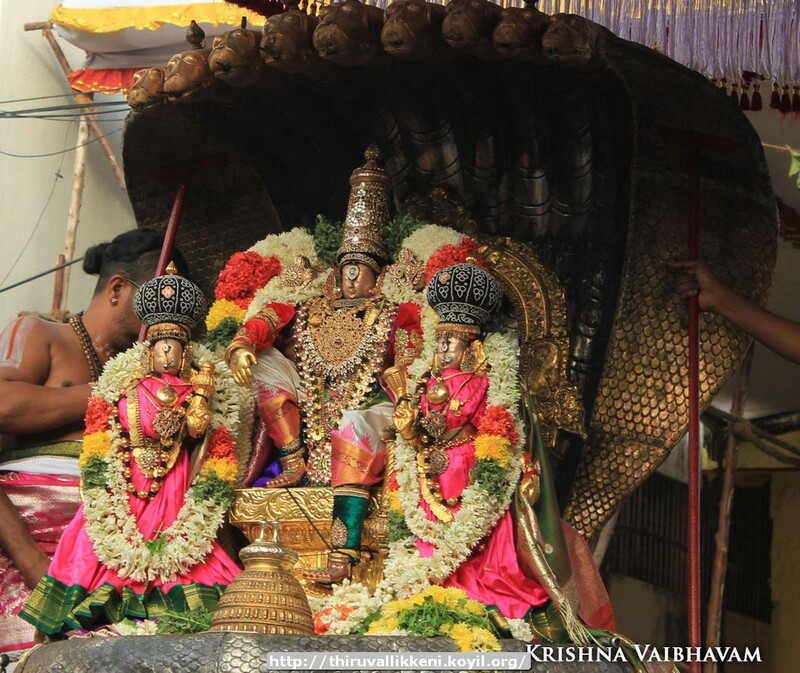 thirunArAyaNapuraththu Ay jananyAchAryar – life and glories in telugu – https://guruparamparaitelugu.wordpress.com/2015/06/08/thirunarayanapurathu-ay/ – new article by shashidhar swamy based http://guruparamparai.wordpress.com/2013/04/24/thirunarayanapurathu-ay/ . Please visit https://guruparamparaitelugu.wordpress.com/2013/09/01/introduction-2/ to see the full list. English translation for periyAzhwAr‘s thiruppallANdu pAsuram 1 – http://divyaprabandham.koyil.org/index.php/2015/06/thiruppallandu-1-pallandu/ . Full series at http://divyaprabandham.koyil.org/index.php/2015/06/thiruppallandu/. Telugu translation for madhurakavi AzhwAr’s kaNNinuN chiRuth thAmbu avathArikA (introduction) – http://divyaprabandham.koyil.org/index.php/2015/06/kanninun-chiru-thambu-introduction-telugu/ based on http://divyaprabandham.koyil.org/index.php/2015/01/kanninun-chiru-thambu-introduction-avatharikai/ . Full series at http://divyaprabandham.koyil.org/index.php/2015/06/kanninun-chiru-thambu-telugu/ . dhivya prabandham – English translation for periyAzhwAr‘s thiruppallANdu avathArikai by sudharsan swamy – http://divyaprabandham.koyil.org/index.php/2015/06/thiruppallandu-introduction/. Full series at http://divyaprabandham.koyil.org/index.php/2015/06/thiruppallandu/. dhivya prabandham – English translation for periyAzhwAr‘s thiruppallANdu thaniyans by sudharsan swamy – http://divyaprabandham.koyil.org/index.php/2015/06/thiruppallandu-thaniyans/. Full series at http://divyaprabandham.koyil.org/index.php/2015/06/thiruppallandu/. This entry was posted in Uncategorized on June 7, 2015 by Sarathy Thothathri.